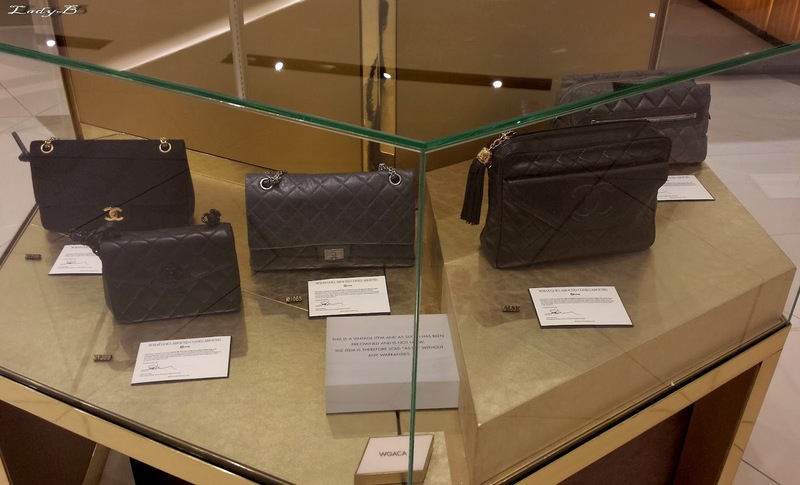 While casually browsing Harvey Nichols I was caught by surprise when I spotted Vintage Chanel items on display. You know when you just passing through and you take a glance and keep on going then realize there was something that caught your eye so oyou must go back and check it out? 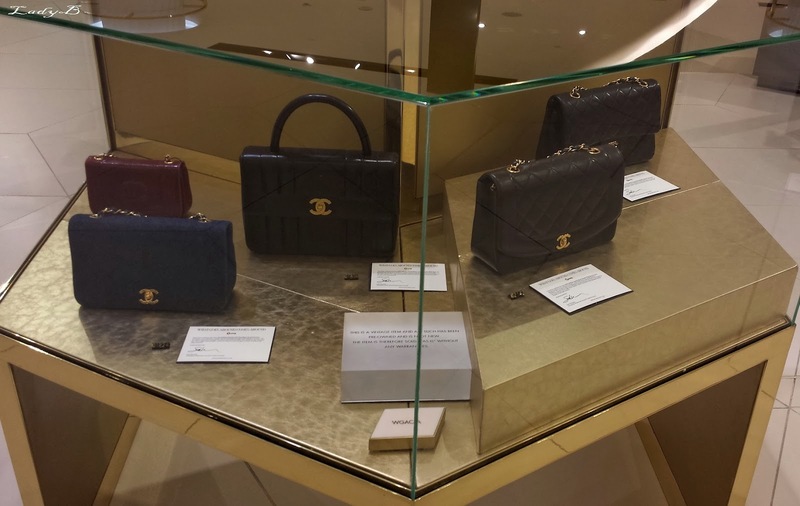 Yup that what exactly happened, so vintage Chanel handbags were nicely displayed and stocked by What Goes Around Comes Around which is a leading company that provides authentic vintage and luxury items established in New York. For a start the collection is fair enough, and for a major department store such as HN is a big step..
And I liked the fact they have displayed a little comment card explaining that vintage is preowned and not new, and I wonder how would that sit with the crowd here in Kuwait? الجناط اللي معروضة في هارفي. I personally don't mind vintage at all, as long as it's in good condition . 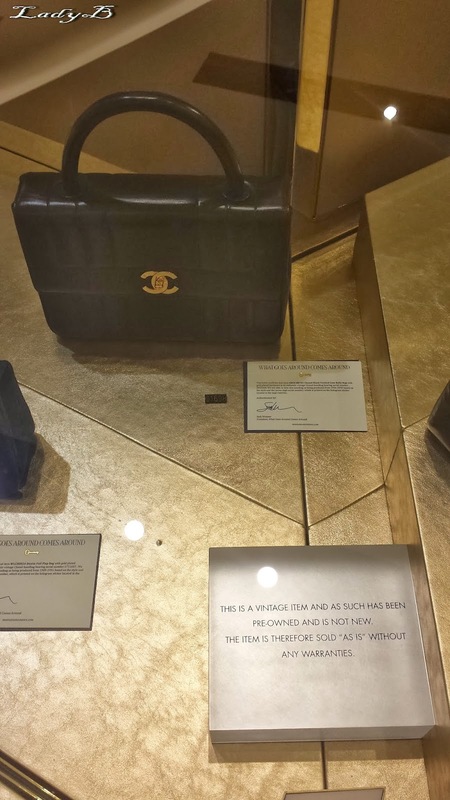 I own a vintage Chanel Tote which I got from a previous visit to New York as well.. Seriously I can't wait for this collection to expand, so I can score another bag or perhaps two ! So what's your take on vintage ? yes or no?